While we await Emma Mackie's next report here is a synopsis of the views of the Italian press on the favorites and riders to watch for the 20th edition of the race which begins Friday. Lotto Belisol: from Emma Mackie's team Australian Rochelle Gilmore is seen as the likeliest to win stage victories. Selle Italia Ghezzi: last year's winner Fabiana Luperini will be striving to win her 6th GiroDonne. 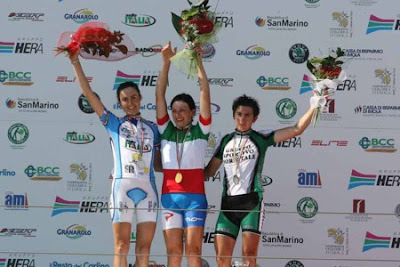 Among Luperini's teammates are podium finishers in the recent Italian national championships Laura Bozzolo and Silvia Valsecchi. Cervelo Test Team: will have America's Kristin Armstrong, Germany's Claudia Hausler and Australia's Carla Ryan aiming for the GC, and also launching England's Emma Pooley in the sprint finishes. Gauss RDZ Ormu Colnago: keep an eye on Tatiana Antoshina in the time trials, two times GiroDonne winner Edita Pucinskaite for GC and Tania Belvederesi for stage victories. 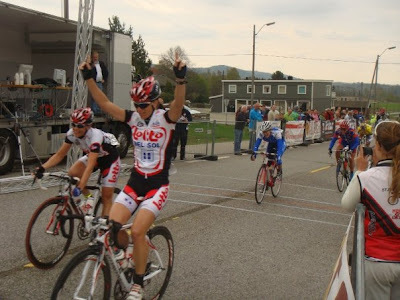 Fenixs Edilsavino: 2002 GiroDonne winner Svetlana Bubnenkova is in great form to challenge for GC. Columbia High Road Women: considered the strongest squad. Germany's Judith Arndt and American Mara Abott are seen as GC contenders while Chantal Beltman, Ina Yoko Teutenberg and Kimberly Anderson are contenders for stage victories. 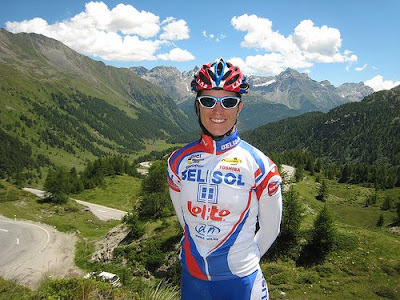 Bigla Cycling Team: two time GiroDonne winner Nicole Brandli is among the favorites to win. Noemi Cantele is a favorite for the TTs and Modesta Vzesniauskaite for stage victories. Michela Fanini Record Rox: high hopes for Monia Baccaille, the new Italian women's road race champion, and rising star Tatiana Guderzo. Equipe Nurberger: Suzanne De Goede, Regina Schleicher and Amber Neben for stage victories, and possibly Trixi Worrack for GC. Team Flexpoint: Susanne Ljungskog, Mjriam Melchers Van Poppel and Loes Gunnewijk. Top Girl Fassa Bortolo: Valentina Carretta, Alessandra D'Ettorre. Australia National Team: Chloe Hoskings. Safi Pasta Zara Titanedi: Elena Berlato, Giorgia Bronzini, and Diana Ziliute. Not long ago I was asked if I would like to write about my experiences in this year’s GiroDonne. One of the biggest women’s races not only in Italy but the world. This is a first for me! I’m a little nervous about writing something where thousands of people can read it but I am very happy to be asked. This is also very exciting for me because the GiroDonne was the first International race I did with the Australian National team 3years ago. This year I will be returning with my Belgium pro team, Lotto-Belisol. So to kick things off I thought you should know a little bit about me. I’m an Australian Female cyclist. I’m 24 years old and I come from a little town called Albury. During the European cycling season I live in Belgium, Viane. I have been racing now for 5 years. I started cycling through my local club in Australia and after a year of racing at home I wanted more. 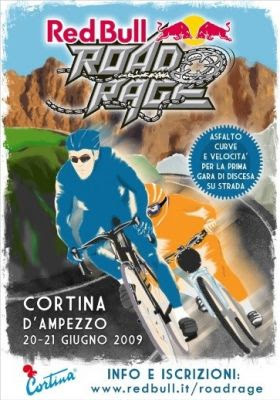 Things progressed quickly and before I knew it I was racing the GiroDonne with the Australian National team in 2006. 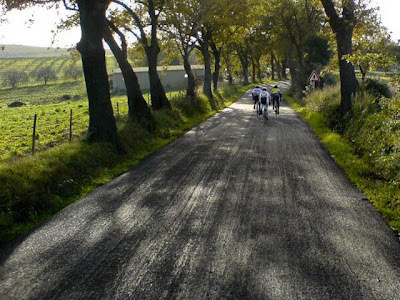 In 2007 I signed my first professional contract with the Dutch team Vrienden Van Het Platteland. It was quite an experience coming from Australia and living in Europe for 6-8 months! A lot of people say that the first experience either makes or breaks you. Well it hasn’t broken me yet. 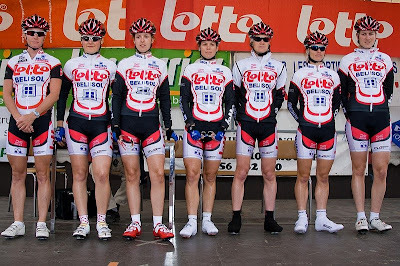 In 2008 I signed for the team Lotto-Belisol which is now my current team in 2009. Last year was a great year for me with 7 top 10 results, 2 podium finishes, and 4500Kms raced in Europe with 43 completed races. This year the team is bigger and stronger. We have had some great results and I can feel each year an improvement from the last. I have just recently returned from Canada. We had some great results with several podiums, top ten finishes, the sprinters jersey and me 2nd on the mountains jersey. I have now turned my attention to the 10 day tour of the GiroDonne. The weeks leading up to this tour I have been focused on full recovery and maintaining the race fitness I should benefit from Canada. Drinking plenty of water to keep myself hydrated as I hear it is going to be very hot. And eating the right foods to fuel myself for this year’s challenging course. The race this year looks to be very tough with 10 stages from the 3rd-12th July. We fly into Pisa on Friday morning, July 3rd, to begin the race later that night at 7pm with a 2.5km prologue. So until then, I will keep you posted with anything leading up to the tour and the latest news /reactions and gossip on tour. represent Australia in the World Championships in Menderiso, Switzerland. Her long term goals include Australian Champion, World Championships, Commonwealth Games 2010, London Olympics 2012. Under the title of the "Pantani Bike Project", supported by Pantani's parents, bicycles bearing the "Marco Pantani" name will be coming the marketplace. The Pantani family, Paolo (father) and Tonina (mother), have turned to the builders of Carrera bikes (Podium srl, owned by Davide Boifava) to build the Marco Pantani models. It was on a Carrera bike that Marco Pantani achieved his early stage victories in the Tour de France and Giro d'Italia. Designed for professional race use, yet appropriate for recreational use. This frame is made of 7005 series T6 aluminium combined with a carbon fibre rear monostay; its ideal on very challenging roads, but also for long distance rides. Very advanced procedures, such as drawing of the aluminium tubing and solution heat treatment eliminate the possibility of work hardening of the metal and confer a much higher resistance to the problem of “hot cracking”. The triple-butted oversize tubing made on specific custom design increases structural stiffness balanced by the double-butted horizontal rear tubes and by the front fork made of K6 carbon fibre. These structural aspects, working together, are able to decrease vibration given by imperfections of the road surface and increasing the level of comfort as shown by lab and road tests. The tig welding process and the fitting of the rear monostay in carbon fibre is done by hand by certified professionals that complete the production processes of the frame. Mechanical and performance values lab tested and controlled on specific bike test machinery. Carbon speed fork weight: 568 grams. Born through project studies of highest technology, this frame has been designed to respect determined values of reaction and resistance, strictly necessary for its professional use. The carbon monocoque structure known as TORAY HM-HS (High Modulus – High Rigidity) is made through a monocoque print thanks to “SOLID CARBON” technology. Following this step the frame is formed in a high pressure autoclave system which compacts the fibres furthermore to guarantee a higher level of resistance against axial and torsional loads, creating also a longer lasting product. In addition to this, thanks to the careful selection of the same fibres and the absence of step-by-step assembly procedures, each and every single frame has the same quality and performance. The monocoque production system includes the dimensional standardisation of the frame, which is made in five different sizes and adaptable to the different structural qualities of an athlete. The oversize tubing used (HM T 700) has a hexagonal cross-section to insure a better absorption of vibrations given by imperfections on the road surface, without however compromising the structural stiffness of the precise control one needs on a bike. The integrated seatpost has a drop shaped aerodynamic profile as a cut-out to fit around the rear wheel. This is so that the wheel is brought closer to the front triangle, with the result of a higher reacting frame when one force pedals standing up on the bike. The horizontal rear tubing has a variable geometry, contributing to a more efficient energy transfer without there being any power-loss. Made with monocoque “SOLID CARBON” “technology using TORAY 30T MR60 3k HM (High Modulus) carbon fibre. Accessories and inserts are anchored during the printing of the frame, not afterwards. Fibres compacted using a high-pressure autoclave system for the consolidation of the assembled structure. Mechanical and performance values lab-tested and controlled on specific bicycle test machinery. 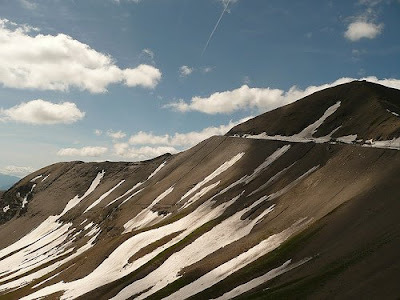 Gruppo 1 club President Beppe Arduini and his wife, Daniela, went on the last of the three long weekend trips Eros Poli organized to ride the Col des l'Arche, Col du Vars, and Col de la Bonette in Provence. Note their matching Basso "Astra" bikes, acquired through new club sponsor VR MOTO of Verona. In a week (settimana) of racing in Imola, from 20 to 28 June, the Italian national champions from professionals to juniors were crowned. The professional men's road race was won by Fillipo Pozzato after 257 Km over 11 laps of the "dei Tre Monti" circuit. The Katusha star won in a a sprint finish over Damiano Cunego (Lampre NGC) second, and Luca Paolini (Acqua & Sapone) third. The new Italian champion immediately outlined his next objective, "I will now go to the Tour to win a stage with the jersey of Italian champion." The 125.90 Km women's road race was won by Monia Baccaille, Fiamme Azzurre squad, ahead of Laura Bozzolo (1' 28") and Giorgia Bronzini (2' 50"). Monia will race in the women's Giro d'Italia on the Michela Fanini Record Rox squad. Marco Pinotti won the men's TT for the 3rd consecutive time averaging 49.213 Km/h over the 32.30 Km course. Stage 16 will begin in Switzerland then passes through Italy before finishing in France. 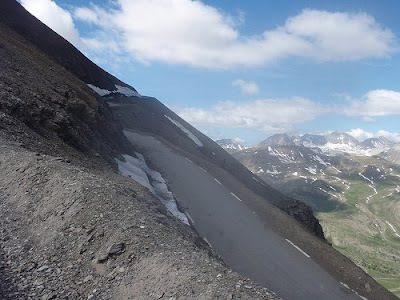 It should be quite a good stage, coming after a rest day, with passes seldom used in the Tour de France: Col du Grand St Bernard (last used 43 years ago it is a more than 30 km climb which rises to 2,469 m above sea level.) and Col du Petit Saint Bernard (Colle del Piccolo San Bernardo). "There are some rituals in cycling that never change. Eighty ago, you put on your cycling shoes, pumped up your tires with your Silca pump, and went. Now you put on your cycling shoes, helmet and sunglasses, pump up your tires with your Silca pump, and go. The sound of a Silca pump pushing air into a tire is as intimately associated with cycling as the click of the chain moving from cog to cog. When Felice Sacchi founded Silca in 1917 in a country torn apart by World War I, little did he know that his company would not only still be going strong in the next millennium, but that it would also still be run by his family, in this case his grandson, Claudio Sacchi. 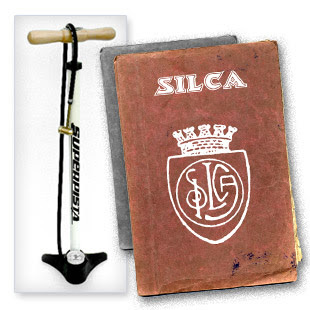 Silca is the oldest company in the cycling industry to be continuously run by a single family. But family ownership is only half of Silca’s storied history. The other half of the story is of continuous innovation to meet the needs of cyclists, who always need air in their tires. Felice Sacchi responded with pumps that were ever thinner and lighter as tire pressures became higher and bicycles lighter. Felice’s son, Giancarlo, accelerated this legacy of innovation with ideas that we now take for granted in all pumps. Seeing that cyclists wanted to know how much pressure was in their tires, Giancarlo was the first to know how much pressure was in their tires, Giancarlo was the first to build a pressure gauge into a pump, on the now-legendary Silca Pista floor pump. The Pista’s other hallmarks include the Silca brass chuck with its replaceable rubber valve seal, the replaceable and easily serviceable leather piston seal inside, and the comfortable handle with its integral clips to stow the hose. No other pump can be found in the garages of so many cycles. It is there because it always works, it archived pressures few other pumps can match, and it lasts and lasts, seemingly forever. For the pump you take with you on ride, Giancarlo created a new standard when he saw cyclists rejecting the traditional clips for cables, shifters and front derailleurs in favour of integral bosses, or “braze-ons”, that were part of the frame without clips. The Impero was designed to stand in front of the seat tube, or hang underneath the top tube to fit bikes with two water bottles.In his later years, Giancarlo saw cyclists in the 1980s fixing flats with CO2 cartridge heads that did not allow regulation of the air going in. He produced the first CO2 cartridge head with a regulator knob on it to control air flow. Claudio Sacchi, the third generation, has also delivered a series of innovations to keep Silca products fresh. Take, for example the extra long Super Pista, the most powerful pump ever made and the first choice among track riders as well as road riders for its high pressure capability. Mountain bikers love it too, for its high volume. The Super Pista inflates any tire quickly, with a minimum of strokes. Claudio Sacchi also continues to make parts for the old models, as well as many of the old models themselves, always with top-quality parts. This is rare in our throwaway society but is key to Silca’s sterling reputation for durability and serviceability. Silca pumps are serviceable in seconds. They require no tools for disassembly, and the few parts that wear out are easy to replace. The leather piston cup in the Pista, for example, needs only an occasional dab of grease to keep it lubricated and pumping, and the rubber seal in the brass head is similarly easy to service. Moreover, replacement parts are available all over the world. It is almost impossible to find a bike shop that does not carry service parts for Silca pumps. If you want the best pump and don’t want to keep buying pumps year after year, there is only one choice for you: Silca. Beautiful Italian styling is the bonus." A further explanation of how "Made in ....." is also determined, in addition to actually being made in-country, appears at http://allanti.com/page.cfm?PageID=328 and is cited below. The author, Kerry Roberts, is the past president and chairperson of the National Bicycle Dealers Association and provides consulting services to the bicycle industry. "When it comes to knowing where your bike is made, shouldn’t it be as easy as looking at the sticker on your bike or what is printed on the box in which your bike came? After all, how confusing can a label that says “Made in the USA” or “Made in France” or “Made in Italy” be? For example, you and I can import an unpainted carbon fiber racing frame from China to Spain which will ultimately retail for $4,000 with Shimano components in the United States. The frame and fork may only cost $200 from the Chinese manufacturer. In Spain, we will paint, decal, assemble, and box the bike for shipping to the U.S. Our cost to paint, decal, assemble, and box might be $300 and the cost of the components might be another $800. So is this bike “Made in China” or “Made in Spain?” According to the bike industry's definition, the bike is made in Spain. The sticker will say “Made in Spain” as will the shipping box to the United States because over 60% of the value will be added in Spain. 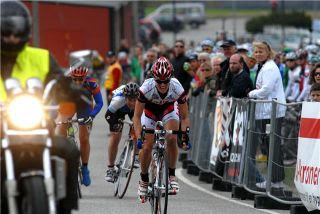 Luisa Sullivan, owner of Davanti Cycling (http://www.davanticycling.com/), sends us her second story. 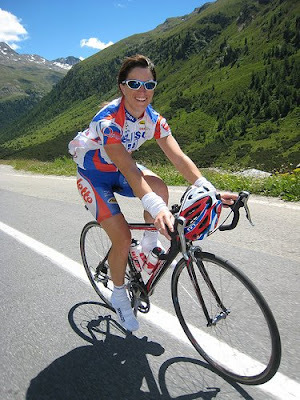 Luisa is an exercise physiologist and certified USA cycling coach who provides coaching services and organizes immersion cycling tours to Italy, and training camps in Colorado. 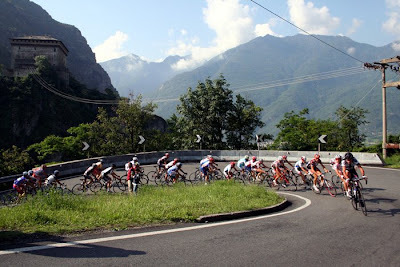 Luisa was in Italy for the 2009 Giro d'Italia and writes about her favorite 2009 Giro stage to ride and watch. It's Sunday May 24, stage 15 and we are in the region of Emiglia Romagna. The stage starts in Forli' and ends in Faenza: 161 km over a total of 6 climbs or "colli." I rode the last 71 km of today’s stage and 120 km total. I climbed the last 4 "colli" of today’s stage: Colle Albano, Valico la Valletta, Colle Casale and Colle Trebbio. We decided to watch the race at the top of Colle Trebbio, the steepest climb. 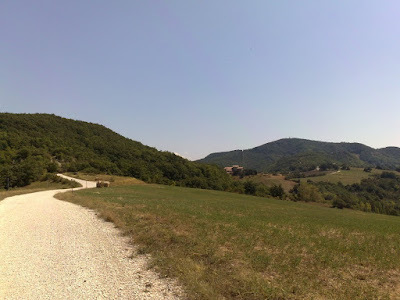 We figured that whoever is leading at the top of that mountain would win the stage, since it is almost all downhill from the top of Colle Trebbio to Faenza, the finish of the stage. We were close in our prediction. This was one of those super hot days and these steep low elevation climbs would be killers for the poor racers. Temperatures would reach 35 degrees C, or more than 100 degrees F with high humidity. At 6:30 a.m., hundreds of cyclists are already on the road hurrying to get to the best place to watch the racers flash by and beat the heat with an early start. 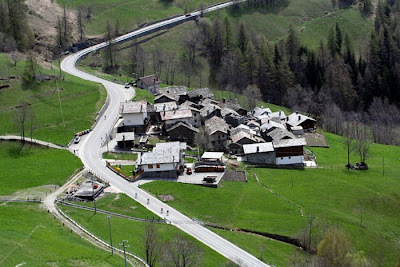 We leave from Riolo Terme, 20 to 25 km from Casola, where the section of the Giro route we plan to ride begins. At Casola we turn left for Zattaglia. The first climb to Zattaglia is 6 km with a grade between 4 and 6%. We climb at a steady rate since we know we have many km to go. It's still not too hot, so the climb is pleasant and we talk and laugh while we ride. The small road opens to beautiful views of the rolling countryside of Emiglia Romagna. We descend to the small village of Zattaglia. Soon we turn right toward Brisighella where the second climb Valico Valletta begins. Wow, this narrow road starts to go up steeply right away, with its grade above 10%, completely exposed to the sun. We stop talking, breathe regularly and remember to keep drinking. These are three killer, steep and hot kilometers. The descent is crazy steep, 18% in some sections with a lot of curves. The panorama views to the open valley are spectacular. We don’t see many cyclists on this part of the route yet. At the bottom of the descent we turn left (just follow the Giro signs.... it's easy…) and after 2 km of flat road we reach Brisighella, an adorable small medieval town at the top of a hill. We need to stop at John Paul's (JP for us) favorite gelato bar, Carletto. I only get an espresso, we fill our water bottles and restart. Now it's really hot and it's only 11:00 a.m. The 3rd climb: Colle Casale is 8 km long with a 6% grade average. The first 2 to 3 km are the steepest, then it levels off. This road is just like the last one: narrow and completely exposed to the sun with absolutely no shade. Near the top, we find some cyclists, a group of Americans who are pushing their tandem trying the take advantage of a small area of shade on the left side of the road. When we get at the top there is no way to recover: no place in the shade to rest, no cafe for more water. The Giro staff are still mounting the barriers for the race. Just a quick stop for a picture and we zip down the descent hoping for more cooler air. At the bottom we reach the cute town of Modigliana. It's only 12:30 p.m. and we have only one more climb to go, so this town is the right place to stop for lunch. We spot a nice cafe with outdoor seating in the shade, already occupied by lots of cyclists. After heating a “grilled panino with fresh mozzarella and unbelievable tasting tomato) I don't want to cool down too much but I realize that we’ll be waiting a LONG time on top of the Colle Trebbio, since the racers are not expected to be there before 4:30 p.m.
Around 1:20 p.m. I slowly start the last ascent: Colle Trebbio. It's 6.7 km long but with an average grade of 8%. Temperature is 35 degrees C. and I do not want to experience heat stroke. I start slowly and, oh my God, the first 3 km are steep, between 12 and 15% grade. I insert my 28 in the back and decide to take it easy through those steep parts. There is NOBODY riding on the road and only few fans along the sides. It's too hot and people probably decided to arrive later. After the first 3 km it levels off. Two guys from Rome (I could tell from their accents) say to me, " Oh now you can relax, just get a coffee...). I know then, that the worst is over. The 4th and 5th km are almost flat. Now comes a real fun story. This is a typical Giro story. I am 1 km from the top. It is still early, around 2:00 p.m. since the Giro is not supposed to reach the top before 4:30 p.m., I am literally the only person riding on the climb and I am wearing my pink jersey. Well, two fans with motor scooters start escorting me hammering their horns, simulating the arrival of the "gruppo maglia rosa" as it happens at the real Giro. I cannot stop laughing. All the spectators already lined up along the last 100 meters from the top go crazy when they see me arriving between these two scooters. They all scream and cheer. It is absolutely hilarious. When I arrive at the top, the entire crowd is complimenting me and offering me food and water. I feel like a celebrity. I even got interviewed by RAI (National Public Italian TV station) but they apparently won’t broadcast the interview. I sit on the grass in the shade and relax. It's only 2:30 p.m.
Around 4:00 p.m. everybody starts getting anxious to know what's happening in the race. There is a small TV under a tent up the hill, but I do not want to lose my first row spot here. I see two guys with a radio on the other side of the barrier. I use my secret weapons (woman, foreigner and cyclist...) and here we go, they start updating me about everything they hear about the race on the radio. We know that there is a small lead group. It's around 4:15 p.m. and we hear that Basso attacked on the Colle Casale and the crowd explodes, "Basso, Basso..." We all start calculating to predict when the riders will be arriving at the top of Colle Trebbio, where we are waiting. We hear that Basso keeps gaining time on "gruppo maglia rosa" with Di Luca. We all get very excited! It's 4:45 p.m. and we start hearing the helicopter. Here they come! They are CLOSE! All the police motorcycles arrive and we know the lead group is here. They cross the top exhausted; their faces say everything about the heat and the fatigue of two weeks of racing. A Lampre racer in the lead group has a flat, just in front of us. Just at the top, what a bad luck... and his mechanic takes forever to replace his rear wheel. We scream and boo the mechanic, the crowd screams "fire him"! It's almost 5:30 p.m. when the car "end of the race: Fine della corsa" comes by and we can finally GO! I have no water and I have 25 km to go. At the bottom of the descent I catch the wheel of three big guys. I use another secret weapon. With a sweet voice I let them know I am on their wheel asking for directions, and they all proudly say, "No problem, we will show you the road, come with us." I knew then I could get back to the hotel in Riolo safe and in no time! What a great and memorable day! "Zigelo Cycling Vacations (http://www.zigelo.com/) was born through friendship, Jeff a passionate cyclist from Boston who lived for 5 years in Italy, and Valentina the owner of an agriturismo (inn/bed and breakfast) in Italy. The vacation unfolds in Umbria, a region less known than others but with a rich history, hidden trails and local foods that are hard to forget. 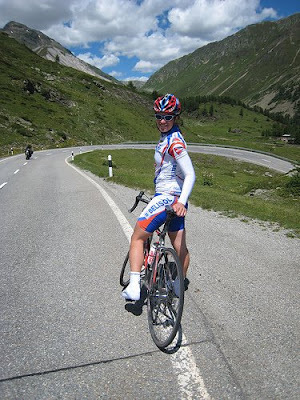 We have planned a cycling vacation which is a true vacation, Italian style, at an attainable price. We built the vacation around the idea of having fun with a more relaxed schedule without strict time tables or fixed schedules. We plan to help you discover the nature in Umbria, the culture and the local eateries. You will have the option to join us each evening for dinner. We look forward to wonderful evenings with the group sipping wine in the cool evening Italian air. Each trip is a week long, with the first trip planned for more experienced riders starting the 13th of September and less experienced riders starting the 20th. Accommodations will be provided by Valentina’s agriturismo, Casale I Perugini, in two bedroom apartments, complete with kitchens. During your stay, Valentina will be managing the home side of things, including housing, transportation, breakfast, and lunch. She will also organize the dinner outings as well as our planned cultural excursion. The rides will be lead by Jeff. There will be four rides which will vary in length from 2 to 4 hours a day, leaving in the morning after breakfast, and returning for lunch (both meals are included). You will have the afternoon free to explore the country side, relax by the pool or head up to the historic city of Perugia. We also have one day where we will head out of town to discover one of the local wineries or the Marmore falls near Terni. Come experience Italy as it should be lived." If you are not familiar with the term "agriturismo", a combination of the words for "agriculture" and "tourism" in Italian, here is a short explanation: Starting in the 1950s and continuing through the 1970s, small scale farming in Italy became less profitable, and, as one might predict, farmers abandoned many farms to search for work in larger towns. But Italians value highly the traditions and produce of small scale production of food, and by 1985 a law defined Agriturismo, and many abandoned buildings and estates were restored, some for vacation homes, and many for agriturismo. These agriturismi allowed the small farmer to augment the income from the farm, and for vacationers to sample the bounty of a rural life in Italy. An agriturismo vacation is suitable for the whole family and some places are even very romantic or luxurious. 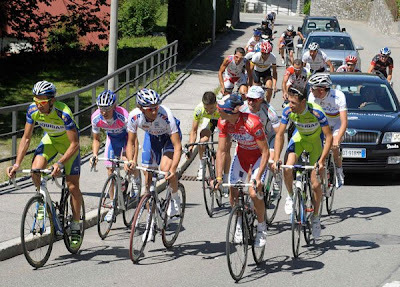 June 22nd: The big guns in Italian road cycling were in Mendrisio, Switzerland, exploring the 2009 Road World Championship course. Led by DirettoreTecnico Generale Franco Ballerini were Alessandro Ballan, Ivan Basso, Damiano Cunego, Danilo Di Luca, Stefano Garzelli, Filippo Pozzato, Vincenzo Nibali and Giovanni Visconti. The road championship will be held on September 27th. The course is 13.8 Km in length and will be ridden 19 times for a total of 262.2 Km. Each circuit has a total of 245 m of climbing for a race total of 4,655 m. There are two climbs on the course. The first of Acqua Fresca has a section of 780 meters which has a 10%+ average, sometimes reaching 12%. 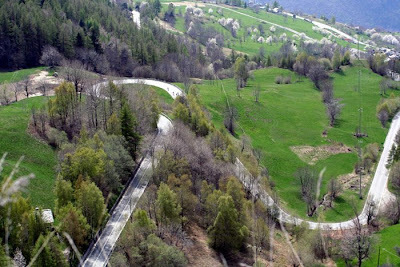 The second climb of Torrazza di Novazzano, well remembered from the duel between Felice Gimondi and Eddy Merckx during the 1971 World Championship, is 1,750 meters long with a 10% average. In Danilo Di Luca's opinion, "Here there is only one man to battle: Alejandro Valverde". Franco Ballerini, after declaring the course as being very difficult, expects it to be another Italy vs. Spain duel. Ballerini also thought Samuel Sanchez and Andy Schleck would be challengers for the victory. Ivan Basso named Fabian Cancellara as an adversary to fear. The first downhill road race in Italy was held in Italy June 20-21st and was won by ex-professional, and 3 time Giro d'Italia participant, Mauro Bettin from Sicile (PN). He clocked a maximum speed of 98 Km/h (60.9 mph). In second place was Frenchman Fred Mazieres followed on the podium by Luca Pais Marden. The winner of 2008 Red Bull Road Rage in Switzerland, Guillaume Gualandi, was fourth. "Best crash" awards went to Guido Cuneo e Davide Sovilla, both who received Briko's new Ceramica Protek® cycling shorts. Briko's Ceramica Protek® side insert have ceramic fibers in the fabric that are resistant to abrasion which are claimed to cut down the risk of road rash. 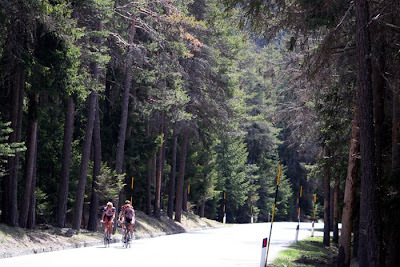 Video: the course from Località Rio Gere to the centro storico of Cortina D'Ampezzo. 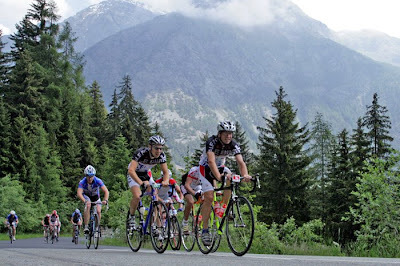 Images from the Gran Fondo Saint-Vincent held June 14th in the beautiful Valle d'Aosta. 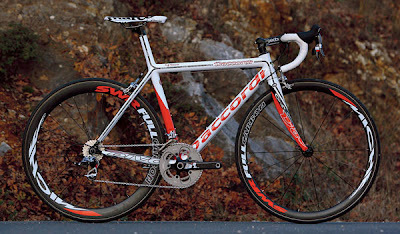 The few Daccordi bikes I have seen through the years have been nicely built and attractive. The company began in 1937 with Giuseppe Daccordi and a partner. The start of World War II required suspending their business but they were able to re-start after the war ended. During the 1960s son Luigi joined his father in the business. Today, Daccordi's top of the line frame is the Divo model (above), a 950 gram frame, Made in Italy. 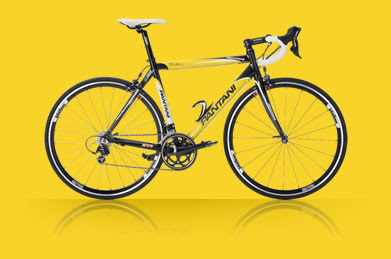 A complete bike, as equipped above, has a price of 5,800 euro; the frame, fork, and headset is 3,120 euro. The frame can be ordered to measure, or is available in standard sizes (seat tube center-to-center, slightly sloping top tube) of 43- 46,5 - 48,5 - 50,5 – 53 – and 55 cm. Interestingly, the frame can be had with an integrated mast as pictured or with a traditional seat post configuration. 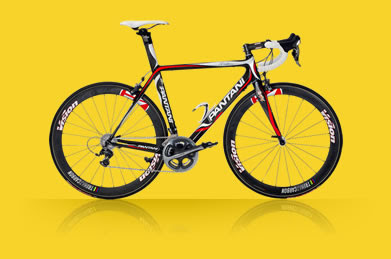 Complete bikes are available with Campagnolo, Shimano or SRAM groups. 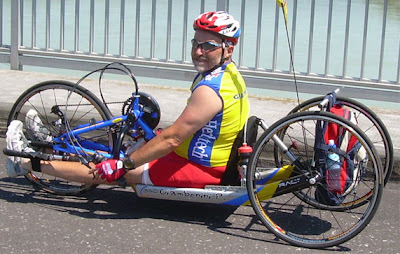 Congratulations to Gianni Garbin of Recoaro Terme (Vicenza) who completed a 1,671.4 Km (1,038.5 miles) journey by handbike from the Brenner Pass on the Italy-Austria border to Portopalo di Capo Passero at the southern tip of Sicily. Gianni became paralyzed in a 2006 snowboarding accident. The trip, from 30 May to 20 June, was undertaken in 21 stages. The trip was supported by the Italian bike advocacy group FIAB (Federazione Italiana Amici della Bicicletta), numerous other organizations, family and friends. 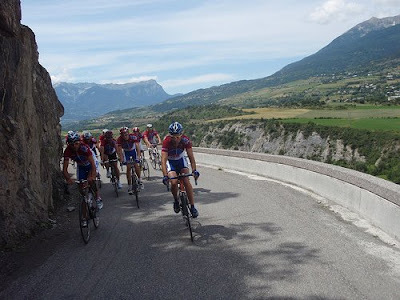 Stories, including cycling trip stories, for the Italian Cycling Journal welcome; contact veronaman@gmail.com. Big news! Australian professional cyclist Emma Mackie of team LOTTO-BELISOL LADIES TEAM has been very gracious in accepting an invitation to write here about her experiences during the women's Giro d'Italia (also known as the GiroDonne). The prologue + nine 9 stage race will begin on July 3rd. Emma will be writing about her daily experiences in the most important women's stage race in Italy which is being contested by 17 other international squads. Her series will begin with an introduction prior to the race. This is going to be incredibly interesting! Stay tuned. "The champion from Varese and the renowned Florentine brand launch the first watch branded Ivan Basso. An exclusive personalised limited edition watch promoted by Ivan Basso for charity. The great champion from Varese, in the event of the hundredth Giro d'Italia, had the Florentine company Anonimo Orologi manufacture a limited 15 timepiece edition of the first Ivan Basso watch. An elegant manual chronograph with a dual clock based on the Slide Rule with a pink dial to celebrate the popular race in stages. The chronograph has a modified and decorated rare 7760 movement, a particular detail that renders the purchase of greater interest to collectors. This precious timepiece will not be on the market but can be purchased only directly from Firenze Orologi S.r.l. for € 4800.00 (inclusive of VAT). Part of the profits shall be given to the Bianca Garavaglia Association, a charity supported by Ivan Basso. The Association was founded on 13 April 1987 and got its name from Bianca, a child afflicted by a rare form of neoplasia at the age of five. The scope of the association is to promote scientific studies and medical treatments for tumours in children as well as to help and support initiatives directly on a financial and operational level. It involves supplying means and assistance to entities and institutions operating in the sector without having to go through intermediaries or red tape. The achievement of the objectives fixed by the Association involves the financing of projects, some of which, such as basic research, have long waiting periods with the use of both important human and economic resources." See http://www.anonimo.com/ for contact information. 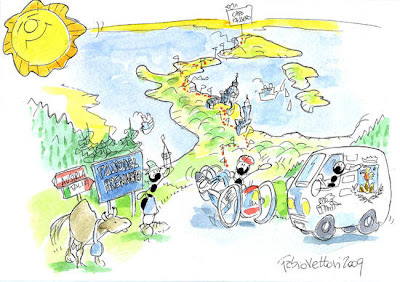 The De Rosa Blog, "Bikeadelic"
Winner of Italian Cycling Journal Contest!